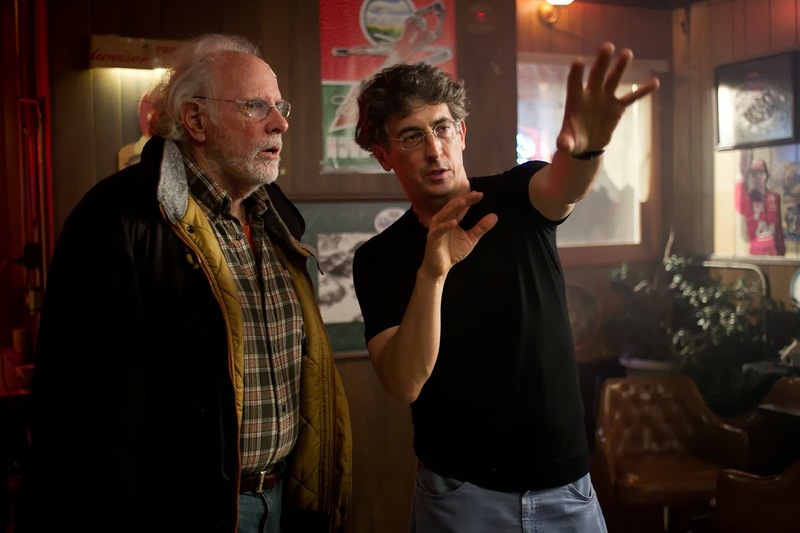 Before he even shot the film, Alexander Payne discussed the struggles of getting Paramount to help fund Nebraska in his intended black-and-white aesthetic. With a reduced budget, they finally agreed and the film, tracking Bruce Dern‘s character and his journey to redeem a supposed sweepstakes-winning notice, ended up being one of our favorites of last year. Although it racked up over $17 million just domestically (a modest amount above its $12 million budget), as Paramount is looking to grab ancillary revenue streams, they are taking a different approach with the presentation. Epix have announced in a TV spot (seen here) that they will be holding the world premiere of the color version (the format the film was actually shot in, before being converted) this Sunday at 10 P.M.
To give Epix a slight bit of credit, they are showing the black-and-white version first, at 8 P.M. that evening, followed by the color world premiere. We also imagine those that care about Payne’s original vision seeing it theatrically last fall, or on home release the last few months (for fairly cheap, mind you), so it’s difficult to get too up in arms about the decision. If anything, it’ll be an interesting experiment to see how the experience changes in this format. What do you think about screening a color version? Will you seek it out to compare?